IoT applications enable organizations and individuals to improve the quality of their operations in many ways. Basically, the internet of things or IoT is the integration of a wide range of devices using the internet and has a great potential to improve the way we do things. Almost any industry, organization and even individual can benefit from the technology. There are probably hundreds or even thousands of applications and the number is growing every day. However, for the purpose of this article we will briefly look at the top IoT applications we are likely to see in the next few years. Smart homes are fully digitized houses with almost every part, equipment, and facility connecting to the internet. They are equipped with smart devices and appliances which homeowners can access remotely. These devices could range from your cooker, teapot, power supply, television, gas, and even doors. Smart homeowners can switch off lights, turn off the cooker or gas and even see anyone who enters or leaves their home via their mobile phones. This can be done from any corner of the world. Key among the benefits of IoT applications in smart homes is the heightened security and ability to monitor and control power costs. As the global population rises, food security will be key to sustaining the masses. Already, the communities relying on traditional farming methods and weather are facing a wide range of challenges and poor harvests. 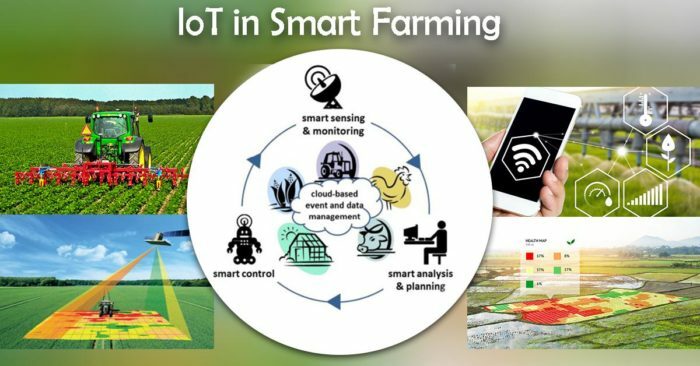 However, there are upcoming IoT applications that can help them adopt smart farming and overcome some the challenges. Smart farming enables farmers to undertake in precise farming, monitoring livestock and crops, and even reduce their costs. Consequently, the farmers are able to identify issues and prevent crop failure or disease outbreaks on their livestock. Self-driven cars or autonomous vehicles (AVs) have long seemed like Hollywood fantasies. Self-drive cars are vehicles fitted with multiple sensors, software, and technology to communicate and navigate the environment independently. This inbuilt technology makes self-drive cars safer and more reliable than human driven cars. Thanks to IoT applications, this technology is not only a possibility but an impending reality. Autonomous vehicles promise sanity on our roads and will significantly reduce traffic jams and congestion in cities. These are typically smart body accessories. They can range from digital glasses, medical devices, smart watches, and fitness bands. These wearables are important in collecting real-time data of individuals. Data ranging from heart rate, sugar levels, location, distance covered etc. Through these devices can also stay connected and communicate with their other people or even their smart homes. Wearables will also help institutions with real-time data collection. Institutions will be able to know what time employees arrive, how long they spend working and when they leave work. This data will be crucial for human resource management. Wearables are also crucial in other IoT applications. Healthcare and the discharge of medical services will also be greatly simplified by IoT. Through wearables and other smart medical devices, vital information about the health of patients could be collected on a daily basis and stored collectively. This will also enable doctors to monitor their patients remotely. The real-time data collection and remote patient monitoring will help identify and control health issues before they become serious. 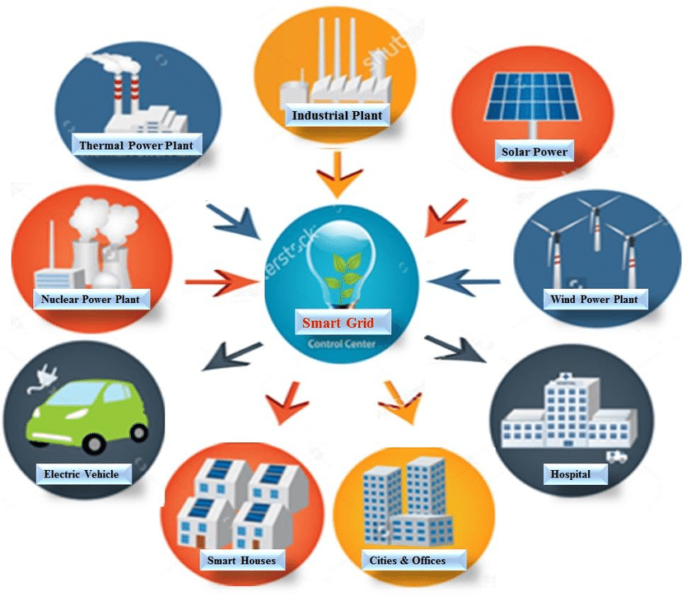 Smart grids could not have come at a better time. They will offer solutions to most energy challenges in the world ranging from reduced C02 emissions to enhanced energy costs monitoring. Individuals will be able to identify which activities drive their costs up before they get charged. This will allow them to take action before their power bill escalates. Power companies will also be able to monitor geographical power consumption. This will help them know and plan for the power needs of each area. The internet of things will enable manufacturers and suppliers to monitor their goods at any point in the supply process. This will be made possible by tagging shipments with sensors that can be tracked and also provide information on the condition of the goods on transit. This end to end visibility of shipments will provide suppliers with crucial information on product handling also ensure shipments arrive as and when intended. Retailers will be able to monitor inventory by tagging products with sensors. This will help them with the market basket analysis. They will be able to quickly and remotely identify fast moving products, depleted stocks and most importantly consumer patterns. This will help retailers to customize their offerings according to consumer trends. Another application in the retail space is cashier fewer stores. Amazon has actually pioneered in this. In these stores, all products are tagged. Once you pick an item from the shelves, it is automatically added to your cart and removed from your cart if you return it to the shelf. Once you finish your shopping, the amount due will be deducted from your mobile wallet as you walk out. To put it simply, smart cities are the big brothers of smart homes with all the benefits of IoT pooled together for the collective benefit. Through the integration of devices on a larger scale and the information sharing capacity, smart cities will be safer, cleaner, greener and cheaper to maintain. These cities will be much safer as crimes can be noticed remotely through alerts from smart homes and autonomous vehicles. Even the homes and cars will have the capacity to alert security personnel. Industrial IoT (IIoT) allows manufacturers to monitor and fully automate their processes every step of the way. Industries use a lot of high-performance machines that work in tandem and at specific conditions. Digitization and automation will enable industries to monitor and control these conditions as well as identify delays in the manufacturing processes and initiate curative measures. Technology has come a long way and seems to have no limits. Emerging technologies, including artificial intelligence, virtual reality, unmanned aerial vehicles, IoT applications, and others are just some of the examples. Generally, there is a wide range of technologies that are shaping the future of this world, and giving us more flexibility and control over how we do things.